There are an estimated 9 million people in the UK who are Deaf or hard of hearing and Derby has the largest Deaf population outside of London. Therefore, it's influence on the future of productions at Derby Theatre is the pinnacle. Director Sarah Brigham has realised that the theatre "needed to make work for this audience to see on every night of the week alongside their hearing friends, rather than one captioned or interpreted performance in the whole run". With the launch of this fantastic initiative and projects including a Deaf-Friendly Youth Theatre, The Jungle Book is the curtain raiser of all curtain raisers. 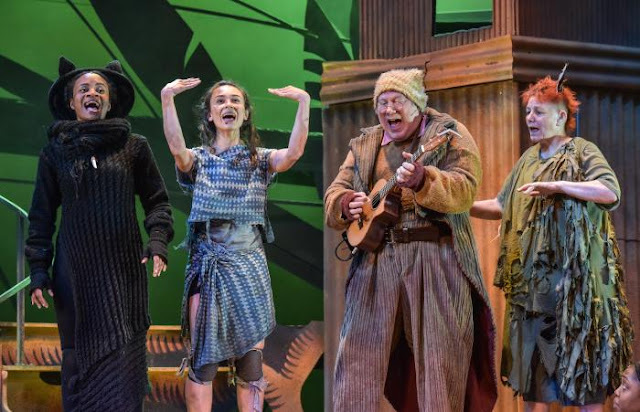 Adapted by Neil Duffield, The Jungle Book is a fantastic story about growing up, working out who you are and what you stand for, celebrating differences and the importance of individuality in the same production. It's an expertly crafted production that integrates inclusivity through both cast and creatives. 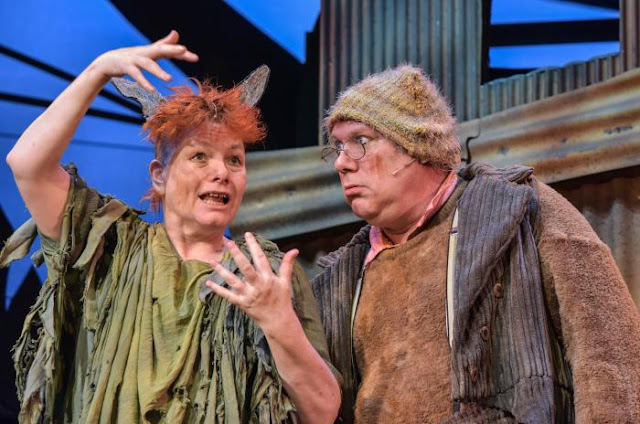 In this show there are 10 professional actors, including 3 Deaf actors, 30 members of the community, live music and the integration of British Sign Language and Captioning on stage, plus a team of both Deaf and hearing creatives. The adaption skillfully approaches some of the original script and the challenges like the topic of colonialism. The piece has been written with an ensemble vibe that is fast-moving but incredibly captivating for audiences of all ages. Behind the animalistic, captivating characters is a passion-led cast. There wasn't a single individual who didn't bring something to the storyline and the jungle most definitely came alive with each of their contributions. Iniki Marianno plays the title role of Mowgli, a wolf cub who's inquisitive nature leads them into discovering what is beyond the wolf pack. Marianno really brings the animalistic tendencies in Mowgli but draws in the audience with her cheeky character too. Ivan Scott was a total hit with the audience as Baloo, especially as he provided a lot of the humour elements in the production. Elliott Rennie has crafted an excellent performance as Shere Khan and really makes for fantastic stage presence. 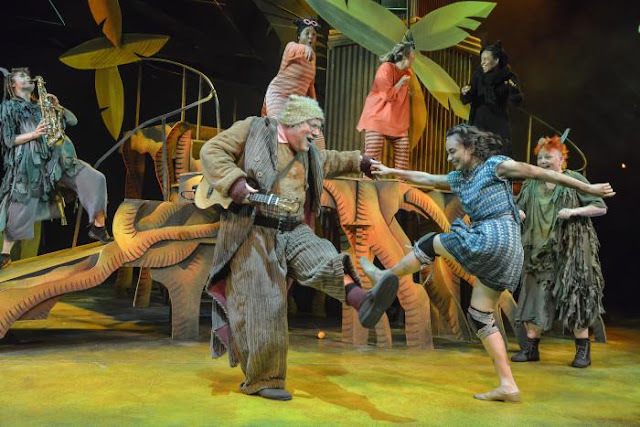 Making the production accessible is brilliant from the BSL on stage through to the set and costume design. Throughout the piece, interpreters join the actors on stage and they're not just someone on the side of the stage like most of the productions I've seen before. The interpreters have been integrated throughout the performance and their interaction with the characters is really powerful and well thought through. The set and costume design from Ali Allen has been thought thoroughly through. She has created costumes that have arms and hands-free so it doesn't hamper singing. Choosing a plain background for colours on the body areas also provide great visibility so that the hands can be seen. The Jungle Book was a real joyous production and up there as one of the best productions I had ever seen in this theatre! Derby Theatre has led an exceptional example of when a theatre gets it spot on with a show for adults and children, but also inclusive too! I'm really excited about the future of Derby Theatre and where they go with their vision. 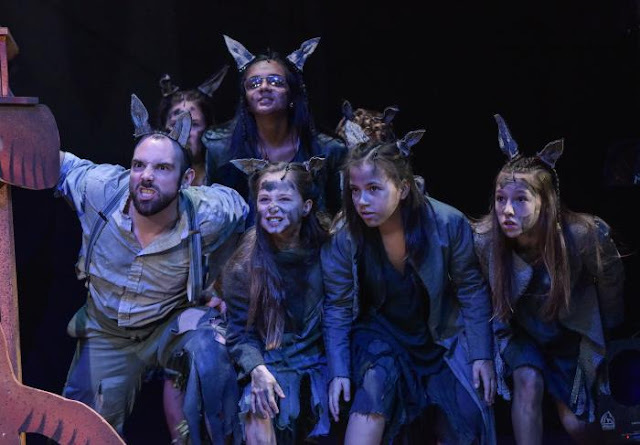 The Jungle Book is performing at Derby Theatre until 20 April. You can book your tickets here.